If you want to add REST support, you add this configuration. You can also run the service without specific configuration file. You add configuration as parameters when running the server. 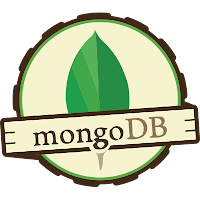 $ sc.exe create MongoDB binPath= "\"C:\Program Files\MongoDB\Server\<version>\bin\mongod.exe\" --service --config=\"C:\mongodb\mongod.conf\"" DisplayName= "MongoDB" start= "auto"